Welcome to the popular Anna Maria floorplan by Beazer, in the beautiful community of Long Lake Ranch. This spectacular 4 bedroom, 3.5 bathroom home sits on a premium lake view lot. 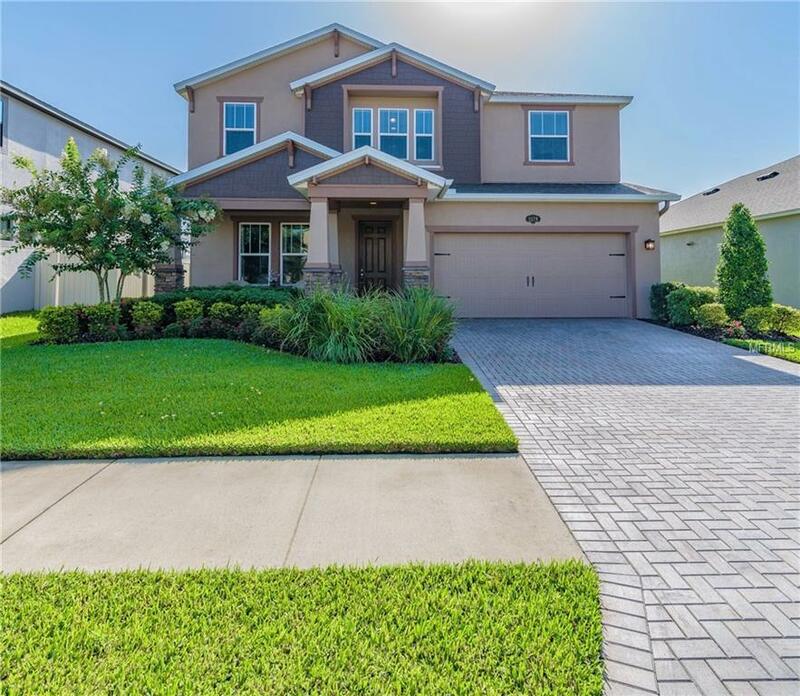 Pride of ownership is evident in this home, from the meticulously maintained landscaping, pavered driveway and walkway to the many interior upgrades including 5.25 inch baseboards, upgraded cabinets, floor tile and granite. Enter the home and you will find a beautiful foyer and large formal dining room, perfect for holiday gatherings. Then move into the heart of this home, the large open living room and gourmet eat in kitchen. The stunning kitchen features an enormous island, stainless steel appliances, including double ovens and a sizable walk in pantry. The spacious living room is perfect for family movie nights or entertaining. On the second floor of the home you will find 4 bedrooms, 3 bathrooms, a spacious loft area with plenty of room for a lounge area and game table. The generous master suite has picturesque views of the lake. The laundry room is conveniently located upstairs as well. This energy efficient home boasts upgraded attic foil insulation, hybrid water heater, energy efficient HVAC and double pane windows. Long Lake Ranch is full of amenities including a 40-acre lake, resort-style pool, playground, dog park and sports courts. The community is centrally located near award winning schools, restaurants and shopping, and is convenient to both the Suncoast Parkway, Dale Mabry, US 41 and I-75.